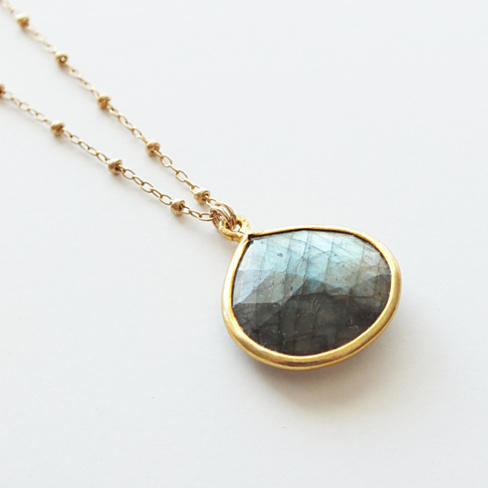 Bezel set labradorite pendant on 18-20″ adjustable gold filled satellite chain. Beautiful piece to layer or wear alone. * Each piece varies slightly in color and shape due to the tural stone. The stone is more wide than tear shaped as shown in first photo.